To celebrate, here are some fun Northern-vs-Southern hemisphere Moon observation facts for you (inspired by the clever folks at the NASA Lunar Science Institute). But if you are a Southern Hemisphere observer, your perspective will be a bit different. Opposite, in fact. 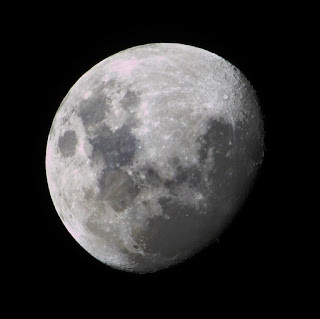 See for yourself: I found these two amateur astronomy photos on the Flickr creative commons this morning. 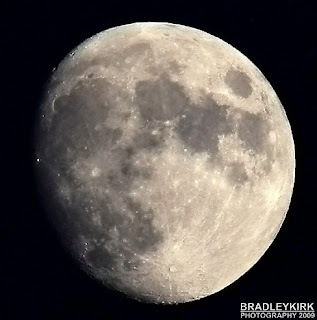 Both are photos of a Waxing Gibbous Moon taken on August 2nd, 2009. The first image was taken from New Zealand, and the second was taken from the United States. And you thought the fact that Christmas in Australia falls smack in the middle of summertime was wild? 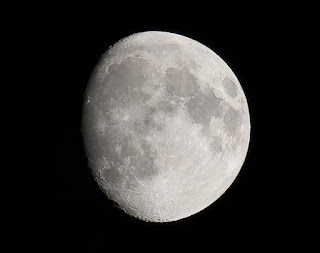 The Moon actually appears "upside-down" from one picture to the next (although the viewer that is actually upside-down is a subject for a future debate). Wrap your mind around that. If you look at Tycho Crater (the large impact crater at the top right of the 1st photo, lower right of the 2nd), it's a bit easier to see the counter-clockwise rotation of perspective that occurs between North and South.